Sometimes you should Think inside the box. Check out the purchasing options for EChem in a Box. Start with the standard bundle and add on additional packs as needed! You spoke and we listened. 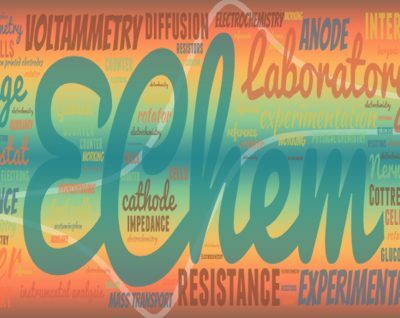 Teaching experimental electrochemistry can be a daunting challenge unless your faculty has a member who has had hands-on experience with electrochemical methods. Despite the modern significance of electrochemistry, it may not be taught beyond simple balancing of redox reactions in general chemistry. Perhaps it is not as accessible as other common instrumental methods such as separations and spectroscopy? Maybe the traditional approach to electrochemistry has left a bad taste in your mouth? Perhaps it is just a segment of chemistry that has escaped you throughout your educational and laboratory experiences. We have been approached by countless faculty seeking guidance on how to effectively teach experimental electrochemistry. 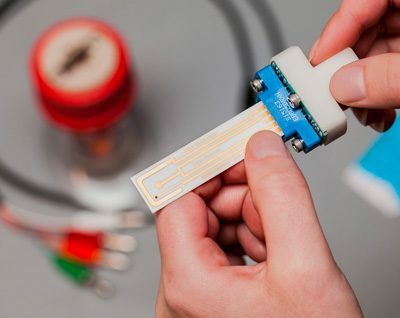 Educators have asked us for pedagogical wisdom, practical and timely applications, cost-effective instrumentation, and accessibility to electrochemistry for many years. With the success of our low-cost yet highly powerful WaveNow potentiostat with AfterMath software, we have combined an array of our products and coupled them with a guide, written for educators, which contains fundamental concepts, specific electrochemical theory in an accessible manner, and practical laboratory exercises with instructor’s guide. 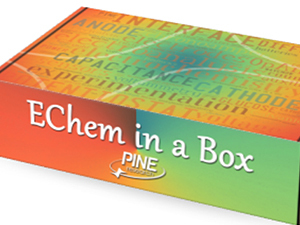 We believe that educators with sufficient chemistry and/or engineering backgrounds will find our compilation, called EChem in a Box, an answer to the question, “How do I integrate experimental electrochemistry into our curriculum when we do not have any electrochemists available?” EChem in a Box is the solution. EChem in a Box is an ideal system for educational settings. Digital copies of the electrochemical laboratory exercises – so easy you can copy/paste our content into your format! Each potentiostat ships with a version of our powerful AfterMath software which users are free to install on their own computers if desired. This means they can acquire experimental data in the laboratory and analyze the results at home. The software allows your students to prepare high quality plots to include in their lab reports. Measurements of peak height and peak area are a snap, and complex overlay plots can be created quickly using simple drag-and-drop actions. And, most importantly, AfterMath helps your students keep all their experimental data together in a single, well-organized archive file rather than scattered all over one or more hard drives. Further, purchase of EChem in a Box includes a lifetime license to AfterMath. The license entitles you to free updates for the lifetime of the instrument. Our talented software engineers are always adding new features, improving existing features, and adding functionality that researchers have requested. We do not play the “more software access for more money” game, common to the instrumentation industry. EChem in a Box includes our very popular Compact Voltammetry Cell which is virtually student-proof. This cell features a custom cap which allows disposable screen-printed electrodes to be quickly mounted in a disposable 20 mL vial. With no electrodes to polish, no reference electrodes to nurse back to health, no cables to chase around the lab bench, and no glassware to clean up, your students will be able to spend less time fussing around in the lab and more time analyzing their results. Additional accessories such as the large volume cell, purging kits, stir bar, and external reference electrode. EChem in a Box includes a pedagogical support guide, crafted by Electrochemists, for all educators. The Experimental Electrochemistry: an Introduction for Educators book is s a guide with descriptive background information to help you incorporate modern electrochemistry into your chemistry and engineering laboratory courses. The guide assumes the educator may have little to no background in electrochemistry; thus, a brief background of fundamental concepts are included before delving into the world of electrochemistry. The electrochemical fundamentals are presented in an easy-to-understand manner, with a lot of the granular (and often off-putting or confusion) details set aside. Instead, our focus was to convey what we consider essential knowledge for the instructor to gain (or refresh if it has been awhile) prior to teaching experimental electrochemistry. The guide complements EChem in a Box by including several electrochemical laboratory exercises, ready for use, as well as corresponding Instructor’s Guides that contain data analysis information, tips and hints, and answers to questions. 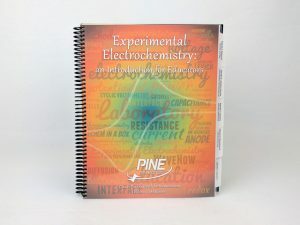 The experiments contained in Experimental Electrochemistry: an Introduction for Educators are all based upon the convenient screen-printed electrodes, contained in the EChem in a Box bundle. As a busy educator and researcher, you’ll be happy to know that we’ve done all the hard work for you so that you can painlessly implement electrochemistry into your instructional laboratories. Preview Experimental Electrochemistry: an Introduction for Educators, included with EChem in a Box! To elevate the appeal EChem in a Box even more, the bundle includes a flash drive with digital media. 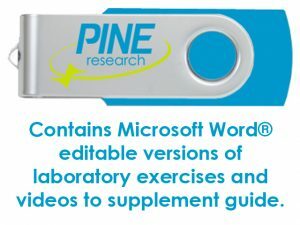 The media include Microsoft Word® versions of the electrochemical laboratory exercises. What could be easier than copying/pasting the labs into your preferred format? Our electrochemists vet and perform each lab thoroughly to ensure that with proper attention to detail, the instructor does not have to fret about a failed laboratory experience. You will also receive a series of videos produced to supplement the content found in Experimental Electrochemistry: an Introduction for Educators. In some cases, you may even find the videos useful for students to watch – perhaps even during the classroom portion of the course.